KEEPER PLATE S01 is generally supplied with most of the electromagnets of 500 and 1000 Newton, while for models of 1500 Newton it's supplied on specific request only. In order to grant the widest contact surface, the diameter of the keeper plate is 5mm larger than the combined electromagnet. 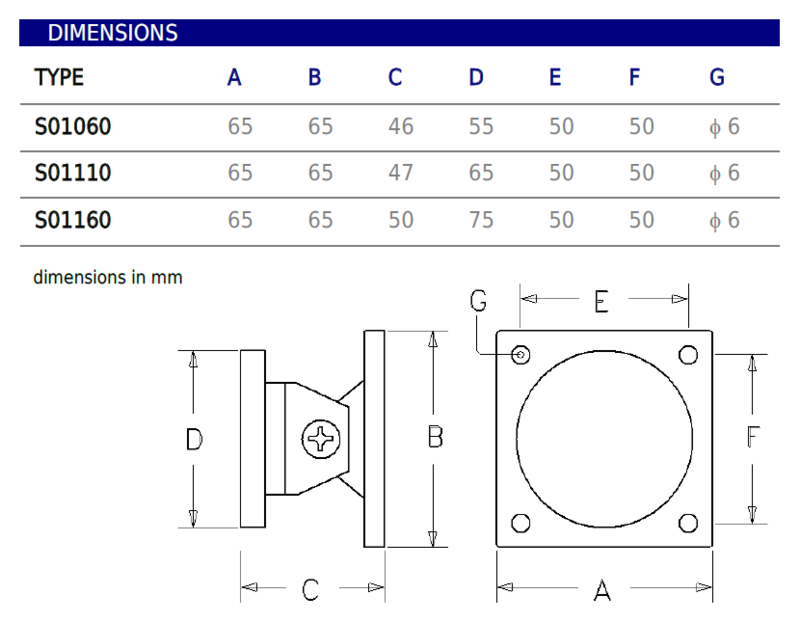 The keeper plate can be oriented of more or less 60° from its base. The steel disc is placed on a special shock absorber wich reduces the impact due to the door opening. 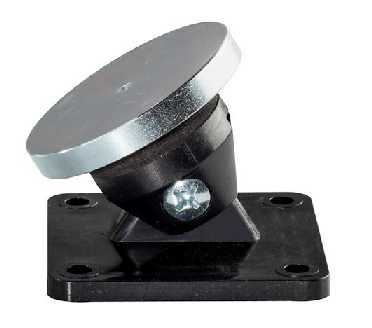 The elasticity of the absorber allows a perfect adaptation of the disc to the magnet. I want to receive information on the page "Model S01"